Annual End of Year Dinner and Trophy Presentation. At the end of January each year, the club has a traditional social get together where we celebrate another successful year. We recognise the season’s trophy and medal winners. With a special guest of honour, plus great food, a fun quiz and good company, it’s always a great opportunity to get everyone together as we look forward to the new year ahead.Our Annual Dinner and Presentation Evening has been running now for over 90 years, and with it we’ve had the pleasure of accepted invitations from special guests of honour such as Ray Booty, Bill Bradley, Paul Carbutt and more recently Les West, Sarah Storey, Johnny McAvoy and Richard Handley. The club also has a social night out in November once the race season is done for some food and drinks. 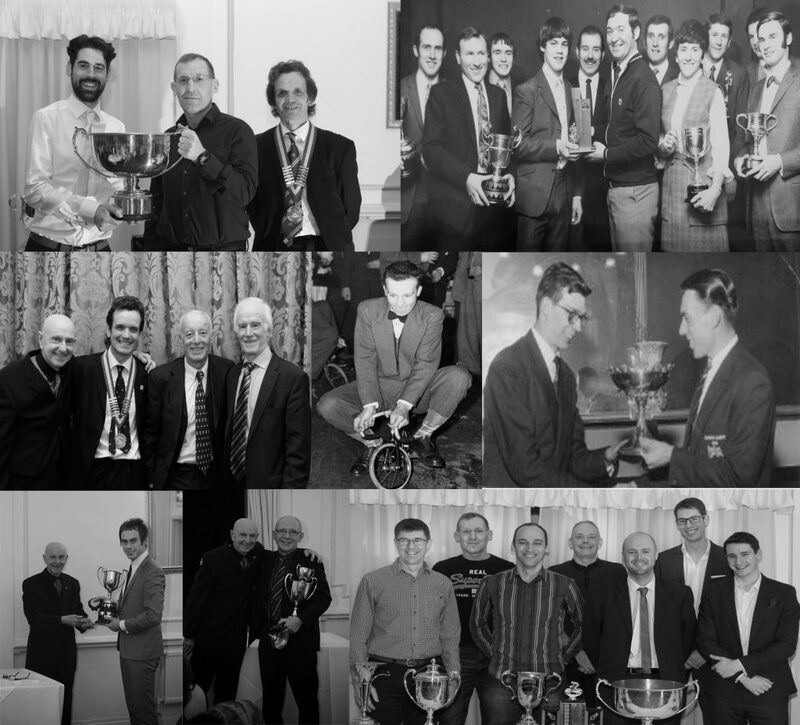 The above picture was taken from the Club’s most recent Annual Dinner and Presentation Evening in January 2018. 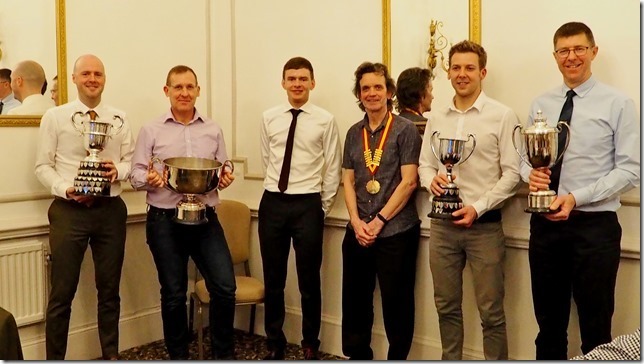 Pictured above left to right are Ian Haddock, Steve Hilton, Guest of Honour Pro Rider Richard Handley, Club President Glen Longland, Paul Gibson and David Wright. 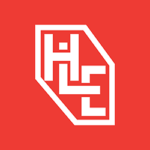 Click the Club badge Below to go back to the Home Page. Newry 3 Day Race Report. Harry Barker Memorial 50 Mile Individual Time Trial Saturday 28th May 2016.